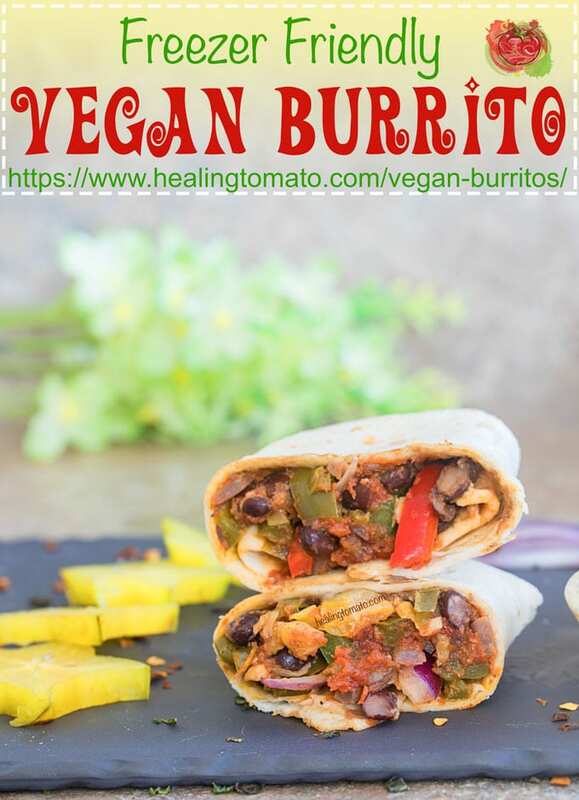 The easiest vegan burritos recipe made with natural ingredients wrapped in a Mission® Gluten Free Soft Taco Tortilla. 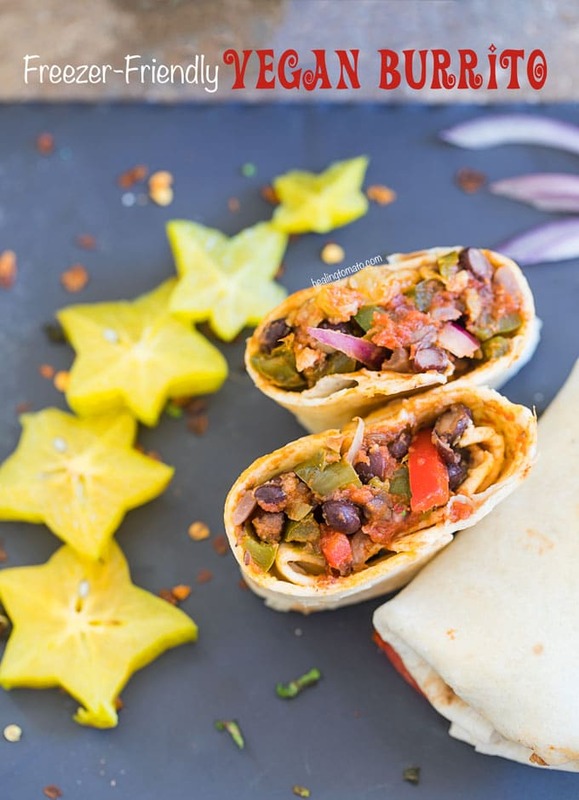 These burritos are freezer-friendly, so, make a whole batch and freeze them for up to six months. How much do you love burritos? I can eat burritos every day and not get tired of eating them. My favorite burritos have rice in them, but I always like to change up my burrito ingredients. This time, I added carambola in it and made them with Cuban flavors. 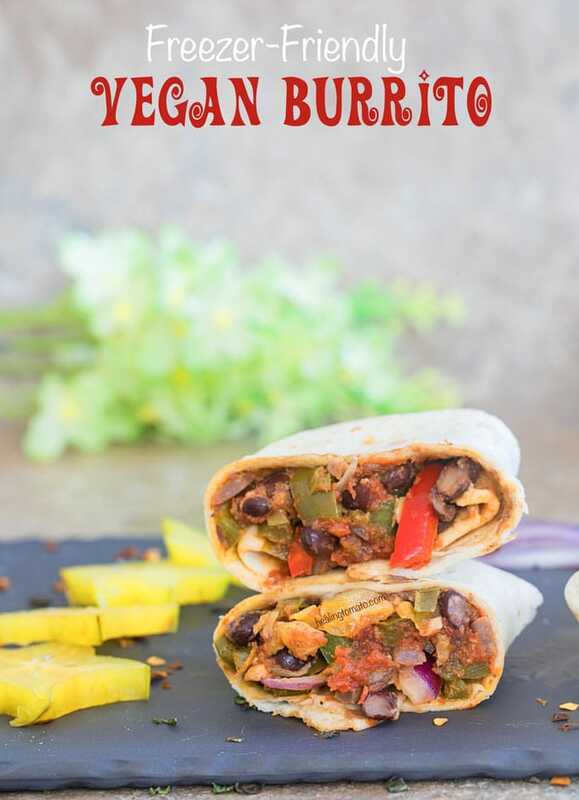 This burrito recipe is gluten free and I loved every bite of it! The best part of the burrito is the tortilla. It is so soft and moist, yet it can hold a whole bunch of heavy ingredients. I couldn’t believe that the tortilla is completely gluten-free! It looks and feels just like the tortillas I am used to using daily. I had never thought that I could get a gluten free tortilla to taste so good. Who said that I have to sacrifice taste just because I am eating a gluten free meal? 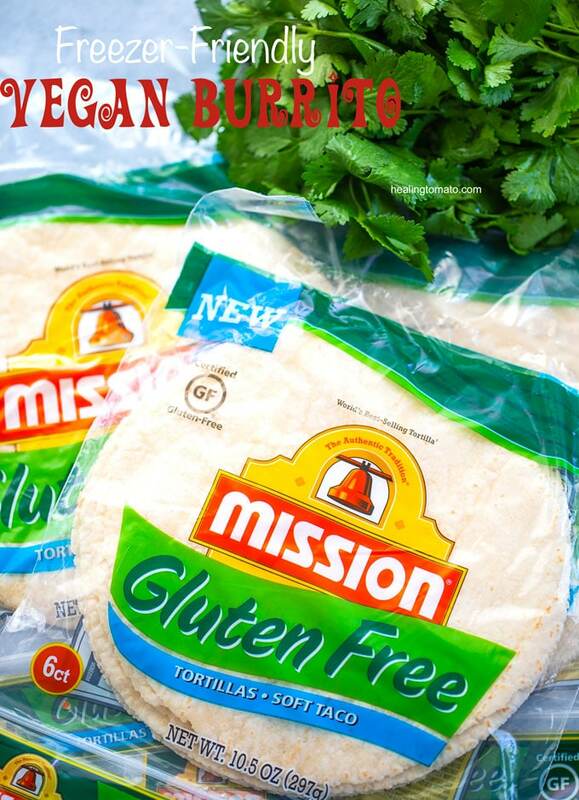 The tortillas I used are by Mission Foods! They know how to make tortillas and they are really good! Did I mention that these tortillas have no trans-fat and have ZERO cholesterol? Tortillas don’t get any better than that. 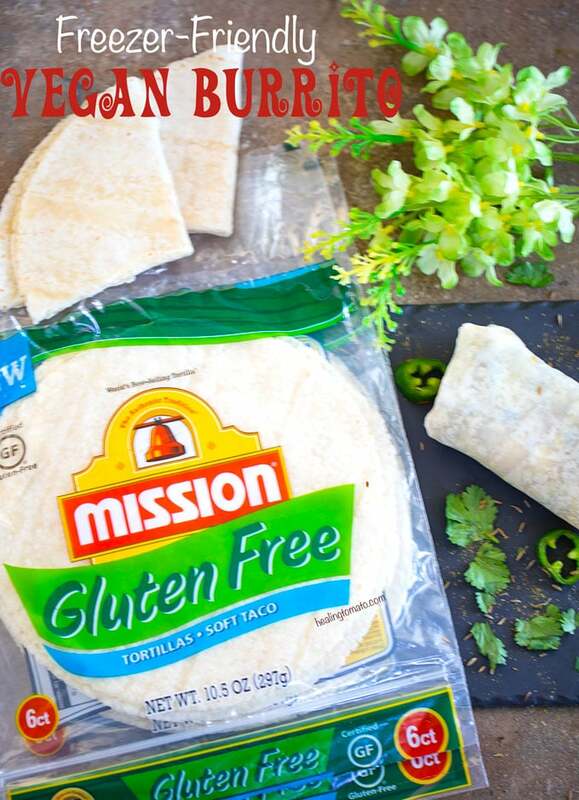 Their certified gluten-free tortillas are available nationwide. If you want to see which store closest to you carries them, head over to the Mission Gluten Free website and use their handy store locator tool. They also have tons of recipes that you can make. You can spend hours looking at all the recipes and beautiful photos. In this burrito recipe, I went with one of my new favorite ingredients. 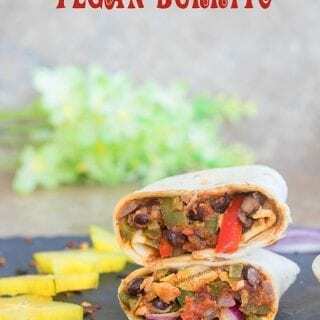 I bought some carambola to make more of my carambola jam, but decided to try them out in a burrito recipe. It was one of my favorite experiments because the carambola worked so well with all the Cuban flavors. If you can’t find carambola, use green apples but cook them for only 5 minutes. I also added some sofrito in this recipe to give them a delightful Cuban flavor! It brings all the ingredients together and keeps it tasting delicious even after 6 months of being in the freezer. 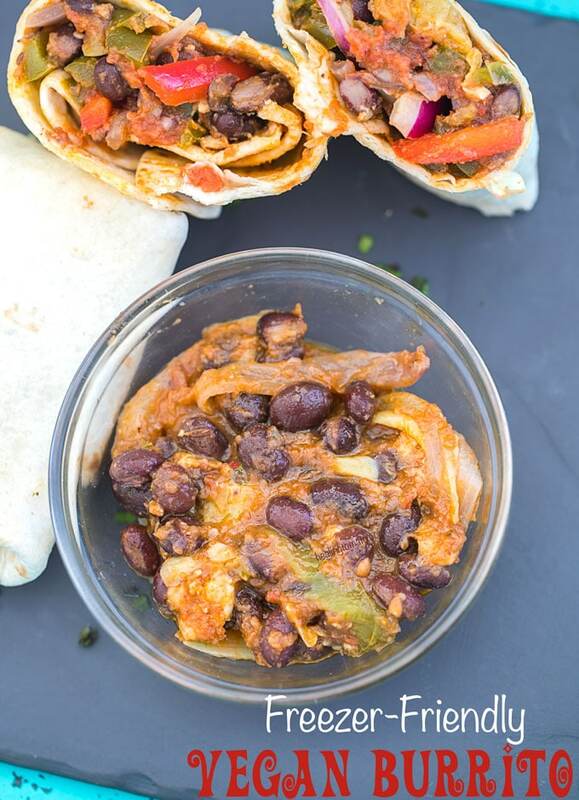 To make these burritos, heat a pan on medium for about 2 minutes. Place the tortillas on it and heat each side for about 10 seconds. Place the burrito contents in the middle and wrap the burrito tightly. You can eat them right away because they taste so good! But, if you plan of freezing them, place them in Ziploc bags and write the date on them before freezing. I normally use up frozen burritos within a month of making them, but you can freeze them for up to 6 months. To warm them up, place them in a toaster oven for about 5-10 minutes at 400°. Do not thaw them before heating them up because they will end up being soggy! - When ready to eat, do not thaw the burrito. Place the frozen burrito in a toaster oven that has been heated to 400°. Toast the burrito for about 5-7 minutes and serve. 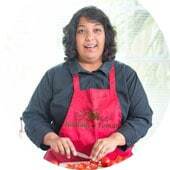 Added to my, “Food,” page on Mix. Thank you!